Double J Sunshine just keeps collecting those great results. Katharine Van Tuyl and Double J Sunshine sealed their win in the Waipa Home of Champions CIC3* with a stunning clear round in the show jumping at Kihikihi. The two, who this year also show jumped to Grand Prix level, were nearly 10 penalty points clear of the second-placed Dannie Lodder (Auckland) aboard Tomahawk II, with Donna Edwards-Smith (Matangi) and Mr Hokey Pokey moving back up the leaderboard to take third. 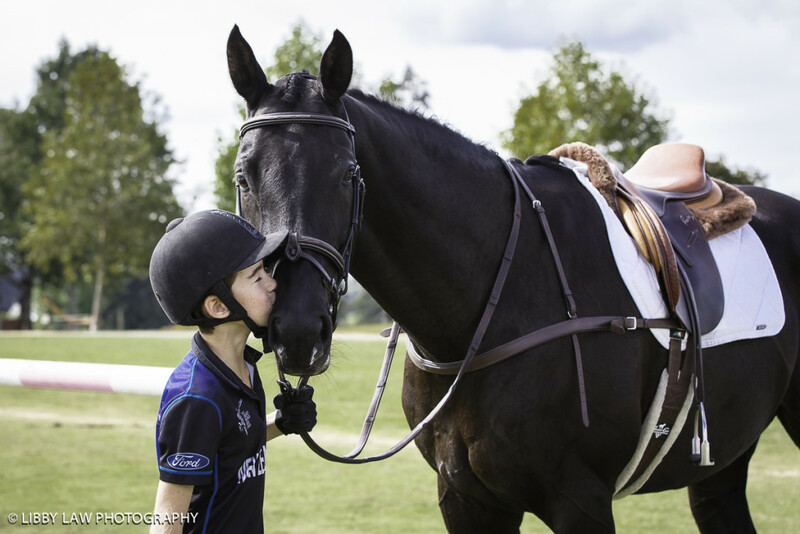 Katharine, who only recently gave up full-time riding to get a ‘proper job’ was over the moon with her win, which came a decade after she last competed at Kihikihi. She was the only rider to go clear over the Gerrit Beker-designed show jumping course, albeit garnering two time faults. Rails fell freely through the seven combinations who started the final of the three disciplines at the event. The related lines Gerrit had built into the course proved to be very challenging. But Katharine was as cool as a cucumber as she guided her chestnut to victory. She is now considering a start for Sunny at the 4* in Adelaide in November. Dannie had two rails down – one for her and the other for the horse – and picked up two time faults, but was very happy to take second place. “I got a little lost in the moment after the treble and forgot that (fence) six came after five,” she said. Donna was rapt to come up on to the podium. She and her spunky palomino had been leading after dressage, but a conservative cross-country saw her slip to fifth. She had a fall in the CIC2* cross-country, but still rode Mr Hokey Pokey in the 3*. Samantha Felton (Matangi) and Ricker Ridge Pico Boo held on to their overnight lead and took out the CIC2*, despite dropping a rail in the show jumping. The 24-year-old said she focused on each jump as it came, rather than the whole course. “When I finished, I wasn’t even sure if I had won,” she said. “It has been a big journey with Pico Boo – he has been injured a few times, and then re-injured himself during rehabilitation and had only had a handful of starts before this. Samantha won the same class two years ago aboard Ricker Ridge Escada, on whom she today placed sixth in the CIC3*. Kimberley Rear (Hamilton) and Delta Legacy moved up from sixth to second with Megan Finlayson (Kerikeri) and Greensleeves taking third spot. Sarah Young (Tokoroa) and SS Galaxy who yesterday finished in second spot after the cross-country, withdrew from the show jumping. Also making an appearance on the final day was former world number one eventer Andrew Nicholson’s horse Quimbo, who has semi-retired to New Zealand. The horse, who in 2013 won the Rolex Kentucky CCI4*, in 2012 Boekelo CCIO3* and CIC3* at Blenheim, among many other events, flew ‘home’ in December to live with Charlotte (Charlie) Sellar – daughter of Quimbo’s owner Libby. 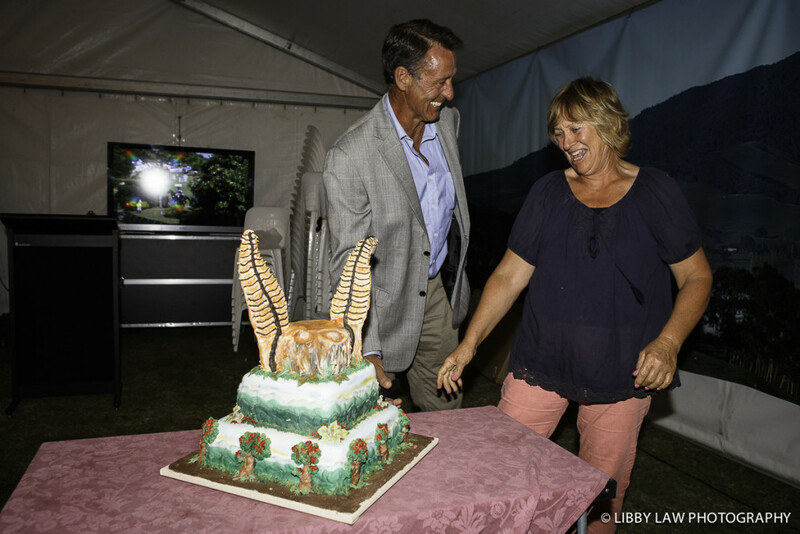 It was the Kihikihi International Horse Trial’s 20th birthday and tributes were paid to those who have worked so hard to create an award-winning event that continues to garner praise from so many. Waipa Home of Champions CIC3*: Katharine Van Tuyl (Palmerston North) Double J Sunshine 66.4 penalty points 1, Dannie Lodder (Auckland) Tomahawk II 76 2, Donna Edwards-Smith (Te Kauwhata) Mr Hokey Pokey 81.3 3, Amanda Pottinger (Waipukurau) Just Kidding 83.8 4, Andy Daines (Kumeu) Spring Panorama 89.2 5, Samantha Felton (Matangi) Ricker Ridge Escada 94.2 6. AON Insurance CIC2*: Samantha Felton (Matangi) Ricker Ridge Pico Boo 55.3 1, Kimberley Rear (Hamilton) Delta Legacy 60 2, Megan Finlayson (Kerikeri) Greensleeves 60 3, Aleisha Collett (Morrinsville) Mi Focus 60.6 4, Abigail Long (Levin) Enzo 61.6 5, Lauren Alexander (Waitemata) BMW Ripley 61.7 6. Prestige Equestrian CIC1* (6, 7 and 8-year-old horses): Abby Lawrence (Te Puke) Charlton Yamani 48.7 1, Jessica Woods (Ohaupo) LV Balou Jeanz 50.1 2, Samantha Felton (Matangi) Ricker Ridge Mystery Man 52.8 3, Jeffrey Amon (Murupara) JA Candy Girl 53 4, Fleur Rohleder (Cambridge) The Alchemist 54 5, Donna Edwards-Smith (Te Kauwhata) Cluny 6. Horselands CIC1*: Dannie Lodder (Auckland) Eon 49.3 penalty points 1, Lauren Currie (Lower Hutt) Rockdon Wildfire 49.6 2, Calla Toyne (Bay of Plenty) Scottish Lad 52.5 3, Alex Anderson (Taupo) Gina VT Bloemenhof 56.7 4, Abbey Thompson (Pukekohe) Rockin It 57.1 5, Loran Mathis (Waikato) Charlton Xplorer 57.5 6. Wade Equine Coaches CNC1*: Karla Jamieson (Stratford) Westamour 32.7 1, Anne MacAulay (Te Awamutu) Cliebrig Alexandria 33.3 2, Holly Morrell (Taupo) Pampero 35.7 3, Sharon Cann (Te Awamutu) King Edward II 36.3 4, Richard Otto (Te Awamutu) Windsor 36.4 5, Melissa Armit (Cambridge) Timmy 36.5 6. BetaVet CNC105: Kylee McCambridge (Cambridge) Chicago 25.2 1, Kyle Calder (Auckland) Apteryx 29.8 2, Georgia Bennett (Taupo) Telestory 31.2 3, Kady Prujean (Drury) The Duke 32.3 4, Ashleigh McKinstry (Taumarunui) Pioneer Techtonic Shuffle 35 5, Kelsey Leahy (Waikato) Show Cause 35.2 6. JLT CNC105 Amateur: Su Jenkins (Te Puke) Anonymous 22.2 1, Shannon Galloway (Hamilton) Day Walker 24.8 2, Elsa Wrathall (Cambridge) Vincitore 28.2 3, Sally Gunn (Hastings) Kiwi Highlight 30.5 4, Melanie Molitor (Kumeu) Intersect 32 5, Nicky Mamo (Remuera) War Paint Gypsy King 32.2 6. Vosper Law CNC105 (5 and 6-year-old horses): Alex Anderson (Taupo) Tigerherz 33 1, Alex Chambers-Steward (Auckland) Zenvo 37.5 2, Abby Lawrence (Te Puke) Django 38.2 3, Katharine Van Tuyl (Palmerston North) Centavino 38.5 4, Jane Callaghan (Helensville) Weiti West End 38.7 5, Sarah Bevege (Te Kuiti) The Little Major 40 6. PEL CNC105 (21 years and under): Abigail Long (Levin) My Tom Tom 33 1, Elise Power (Auckland) Chocolate Liqueur 33.2 2, Alex Chambers-Steward (Auckland) Manuka Meilekke 33.2 3, Vicky Browne-Cole (Waiuku) Secret Sensation 34.2 4, Jordie Watson (Dairy Flat) Meersbrook Viva La Vida 34.8 5, Rene Ryall (Clevedon) Boots and All 34.8 6.